What is the AAT Level 2 Certificate & Level 3 Advanced Diploma in Accounting package? 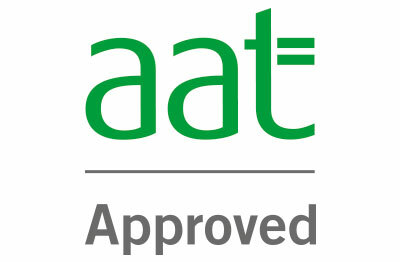 The AAT Level 2 Certificate and Level 3 Advanced Diploma in Accounting package has been developed by our team of experts to guide you from entry/junior level in the accounting industry, right through to a level where you are efficiently and reliably able to handle advanced accounts tasks and functions. This course package includes the AAT Membership fee worth £138 - usually sold separately. Is the AAT Level 2 Certificate & Level 3 Advanced Diploma in Accounting package right for me? The AAT Level 2 Certificate & Level 3 Advanced Diploma in Accounting package is perfect for anyone looking to open the gateway to the accounts industry, or for any current professional looking to validate their skills up to an advanced level. How will the AAT Level 2 Certificate & Level 3 Advanced Diploma in Accounting package advance my career? The accounting world will be your oyster with this package as you build your career with two renowned, reputable qualifications from the UK’s biggest awarding body for the accounting and finance industries. You will be able to go into many roles at many experience levels including Accounts Assistant, Bookkeeper, Accounts Payable Clerk, Finance Assistant, Payroll Administrator and Credit Controller. Why study the AAT Level 2 Certificate & Level 3 Advanced Diploma in Accounting package with e-Careers? What are the AAT Level 2 Certificate & Level 3 Advanced Diploma in Accounting package modules? What does the AAT Level 2 Certificate & Level 3 Advanced Diploma in Accounting package cover? This course package is compatible with Windows and Mac devices but please note that the Sage 50 module is only compatible with Windows. Hello, I am interested in your "AAT Level 2 Certificate & Level 3 Advanced Diploma in Accounting".